GREEN BAY, Wis. — When her son was 18 years old, the police came to Lori's house. It was her son's first OWI conviction. "I went out and I hollered at him and I slapped him and I said do you know what you could have done, you could have killed somebody," Lori said. Lori did not want her son identified in this story, so we're referring to her only by her first name. Lori said that her son's first OWI conviction made her mad. He then got his second, his third, and in 2017 court records show that he got his fourth OWI conviction. "I am still really upset about it," Lori said. The charge included an alcohol concentration enhancer because Lori's son had a blood alcohol level about .25%. Lori said it was .525%, a number that studies show could be fatal. He faced a maximum of six years in prison, but he was sentenced to eight months in jail. Lori said he was soon sent home for house arrest. "I think he should have been in jail, yes," Lori said. "How are they going to learn if they're not held responsible for these?" 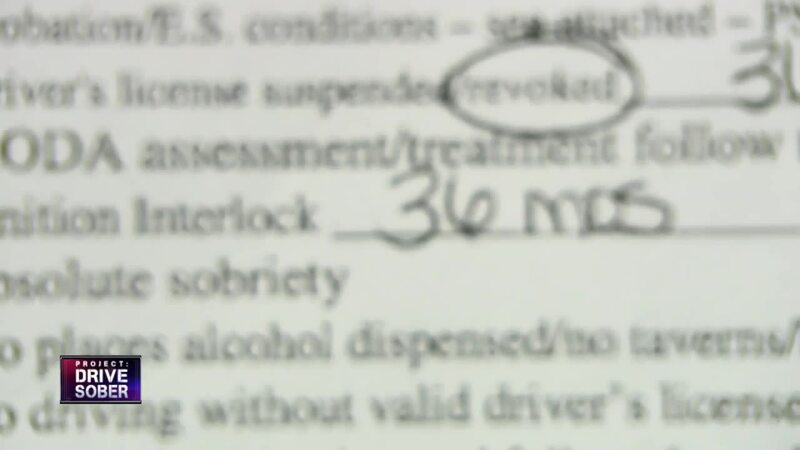 The sentence did include a revoked license for three years, an ignition interlock for three years, and more than $3,500 in fines and court costs. "He's not really been punished a whole lot," Lori said. "Yes, he spent a couple of days in jail. He has a drivers license he can only use to go to work, but really - he should have done jail time." We weren't able to reach the judge in this case, but we did talk with Brown County judge William Atkinson. While he didn't have this case, he has spent 34 years on the bench. Atkinson said that sentencing is based on three factors: a need to protect the public, the seriousness of the offense, and the character of the offender. "The law requires us to consider all of those, and then give different weight to the factors," Atkinson said. He said that first offense penalties are tough enough to deter many people. "By the time we see a person charged with second offense, they have an alcohol problem whether they're willing to admit to it or not," Atkinson said. Without a harsher sentence, Lori is trying to make a difference on her own. "I've cried," she said. "As a mother I don't want to see that happen, but as a mother I don't want to see him kill somebody else's child." Lori now drives her son to work. It's a chance for them to talk together and a chance for her to be supportive. She has a message to other parents in a similar situation. "Don't beat yourself up," Lori said. You raise your kids and you plant the seeds you hope will take. You can stand behind them without condoning your behavior."